24/7. We are a free web based digital signage platform. Free digital signage (billboard) using your existing TVs for residential and commercial buildings, bars, restaurants, hotels, offices and for anyone at all! Announce your events and specials. 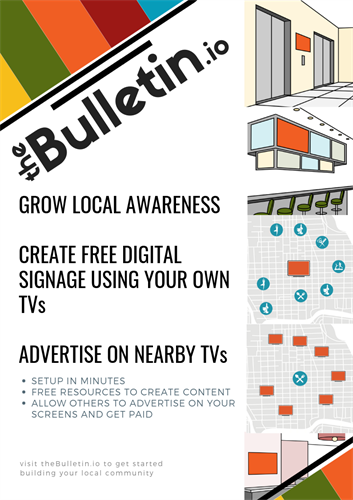 Not only that, you can generate revenue when other businesses advertise on your screens, or you can pay to advertise on nearby screens running theBulletin.io. 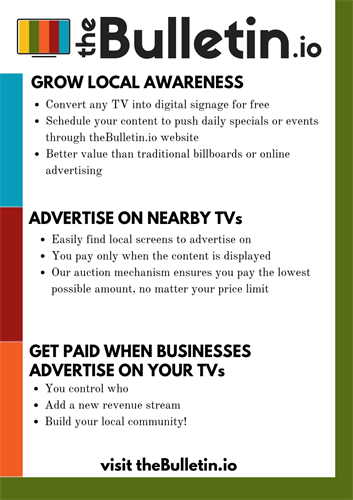 Create your very own media business from just your TVs. 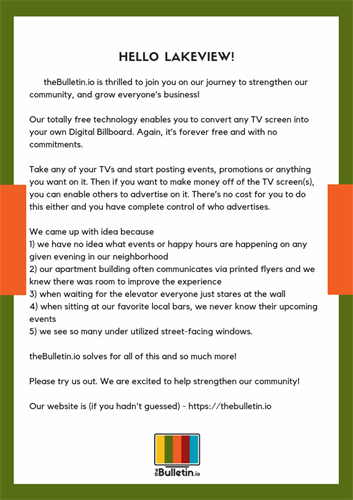 Create an account at https://thebulletin.io to get started.